PET BOARDING NOW AT ABIA! Pick up your pet sooner! Covered on-site airport parking while you're away! with no need for an orientation day! and get a free night's boarding* for your pet! *Free night's boarding applies to the standard boarding rate, which can be applied against the cost of an upgraded suite. Take Airport exit & turn left at light. 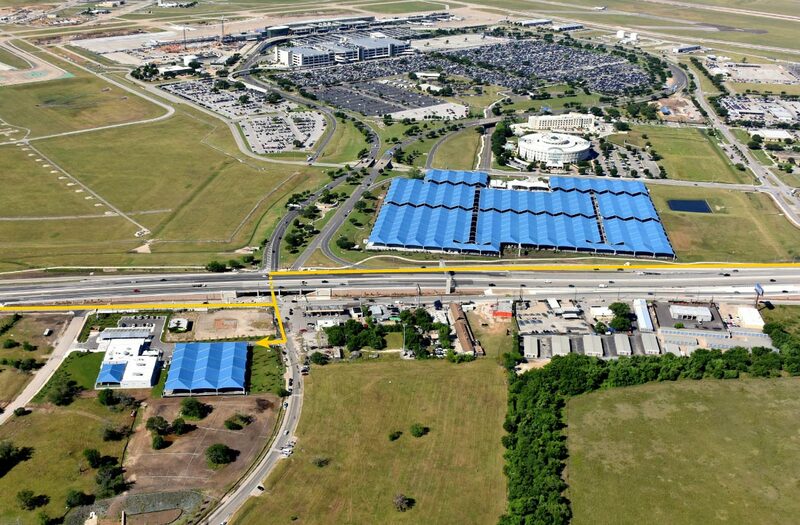 Drive 200 feet & you will see our blue canopies on your right. Bark... and Zoom!!! Only One-Stop is needed to drop off your pet while we valet your car in our adjacent covered parking lot. For those dogs or cats who just want to have fun while you're at work or play, our facility is open 24/7 for drop-off daycare too! From Private Training Sessions to our Board & Train Program to Puppy Classes, we have it all! Save time and money with Bark&Zoom. 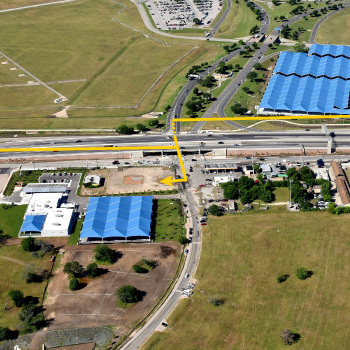 Open 24/7, we are located on the airport, north of the main entrance, so you’re just minutes away from the terminal. Bark&Zoom is a one-stop, state-of-the-art facility for pet boarding and covered airport parking. Our pet-friendly employees love what they do, and are educated to keep your furry friend safe and happy. 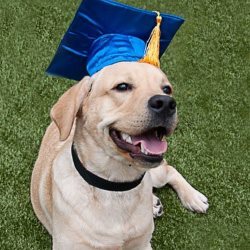 All of our pet services are provided by Taurus Academy, a locally founded company that has excelled in providing daycare, training and boarding for Austin area dogs and their families for over 20 years. Bark&Zoom offers a retail shop for purchasing treats, beds, and toys for your dog or cat. The lobby also features ABIA arrival and departure screens to check your flight status. Our shuttle drivers will assist you with loading your luggage. Most check-ins take only a few minutes, so turnaround time from pet drop-off to leaving for the terminal on our shuttle is usually less than 5 minutes. 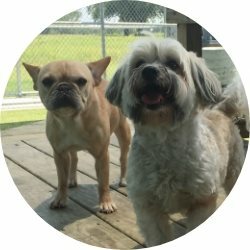 Bark&Zoom is open 24/7, saving you up to 2 days of boarding costs and the hassle of another stop to drop off and pick up your pet at another boarding facility. Upon arriving at the drop-off area, our friendly Bark&Zoom shuttle driver will happily assist with unloading your luggage. 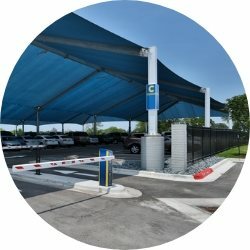 As you check in and make your way through airport security, the Bark&Zoomvalet will park your vehicle in the covered parking lot, adjacent to our pet boarding facility. All our covered parking spaces are extra wide, with no poles to watch out for. All types of vehicles are easily accommodated - from trucks to SUVs and sedans. While you’re away, let us check some items off that To Do list. Bark&Zoom wants your pet to feel like they’re on vacation too. The covered pet pool can be enjoyed by your dog alone, or with other dogs. Playtime in the covered main yard is another fun activity. Bark&Zoom ensures your dog’s safety by grouping dogs together in yards based on size, play preference and overall disposition. Bark&Zoom offers a variety of boarding options. If you select the Elite Suite, your dog will enjoy the comforts of a fully furnished luxury suite, with streaming TV service and a webcam for you to check on them whenever you’d like. During your pet’s stay, Bark&Zoom can handle all your pet’s needs like grooming or training. Looking to board your other four-legged furry friend? Bark & Zoom also offers cat boarding in private kennels and a feline-only play area. When you arrive back in Austin, Bark&Zoom will pick you up in a hurry. As you exit the airport from the luggage area, our all-electric Bark&Zoom shuttle will be waiting for you at the lower level, behind pillar #1. Our shuttle will reunite you with your pet within minutes of exiting the airport’s luggage area, and your vehicle will be waiting for you too. Check-out at Bark&Zoom is designed to be quick and easy. Bark&Zoom operates 24/7 to save you time and money. You could save up to 2 days of boarding costs and the hassle of another stop to drop off and pick up your pet at another boarding facility. Juggling a hectic work schedule and worried your pet is lonely while you’re away? Daycare options are also available. Allow your pet to expend energy and learn important socialization skills and behaviors while you’re at work. 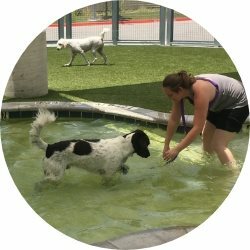 Your dog can cool off in the doggie pool or have a bath while they spend the day at Bark&Zoom. We offer top-notch board and train services and private training consultations too.